To meet and to influence one another. To dive deeper and sense feelings resonating in our bodies. To connect with music and fill the space. 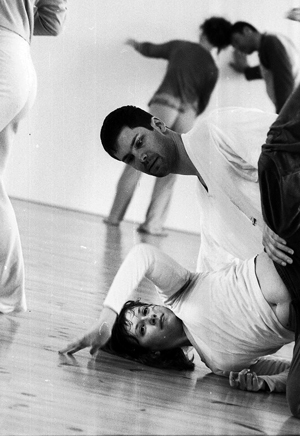 A fusion of music and dance called contact improvisation. Jam is a fusion of moods and stories we bring into the space we share. This jam is bodies in motion, no matter where we come from, no matter how many times we have already danced. Jam is a walk through the inner landscape and gentle tuning in to the landscapes of others. The oak dancefloor tempts everyone who has the dance spirit and everyone with a desire to practice contact improvisation. It entices everyone who wants to discover and play. Play and see who we are. Would you like to join the meeting? Book your place!